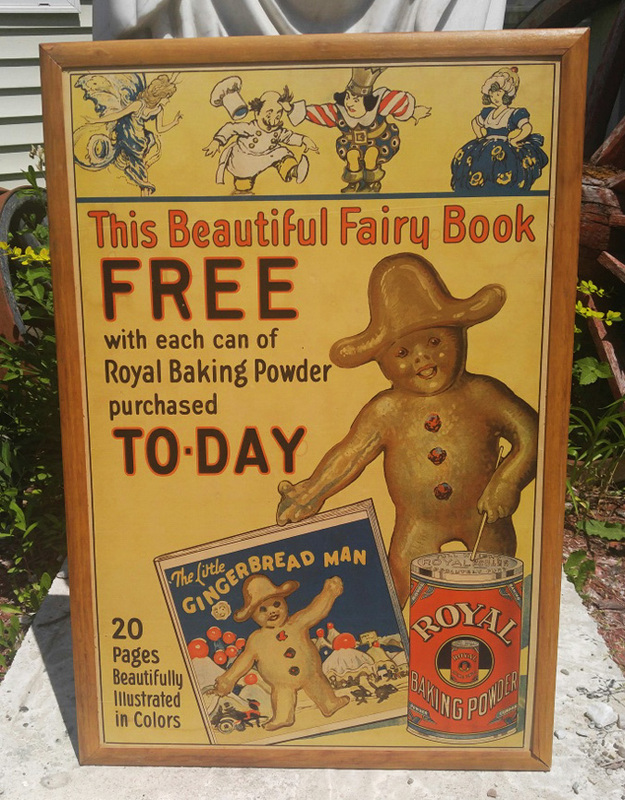 Estate, bright Royal Baking Powder sign with the Little Gingerbread Man Book. 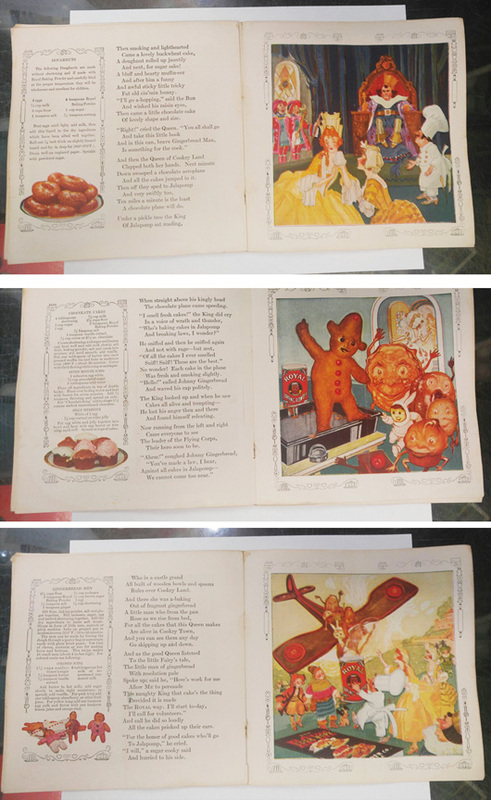 Circa 1923 and measuring 31 3/4" by 21 1/2 inches, it is framed and in nice bright condition. 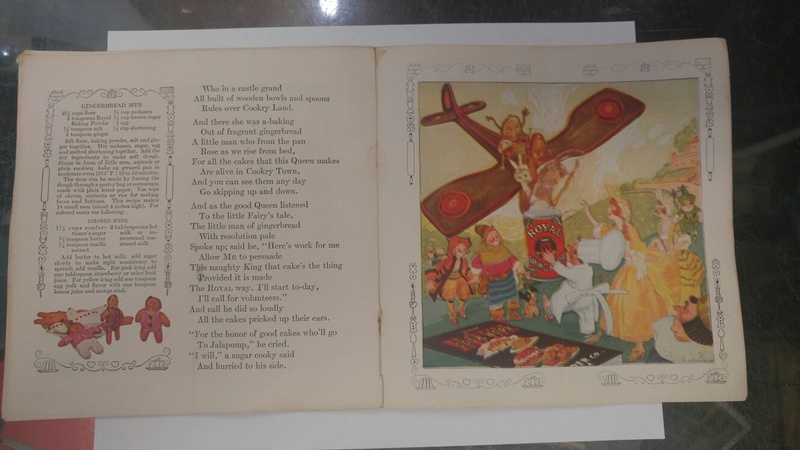 The book has some folds and wear with one tear and one loosened page. A pretty, bright colorful book. 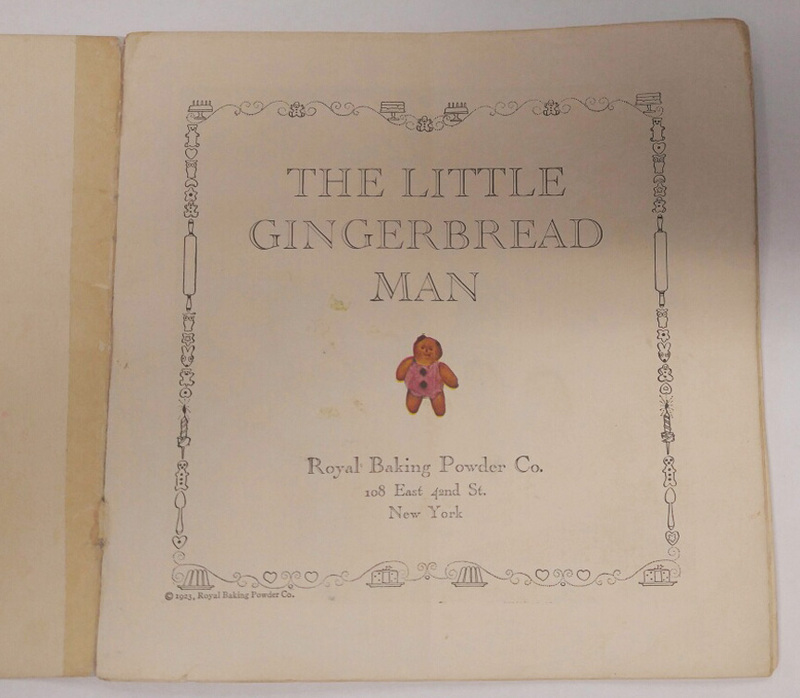 Estate, bright Royal Baking Powder sign with the Little Gingerbread Man Book. 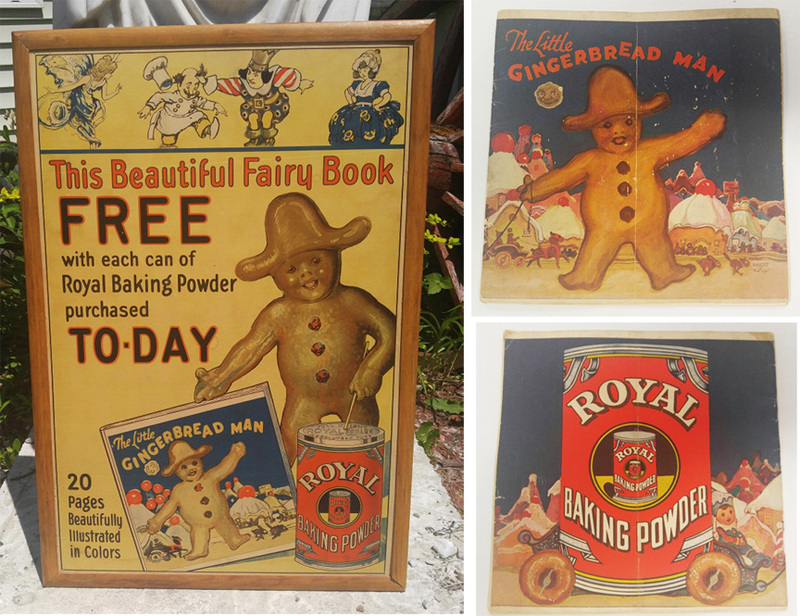 Circa 1923 and measuring 31 3/4" by 21 1/2 inches, it is framed and in nice bright condition. 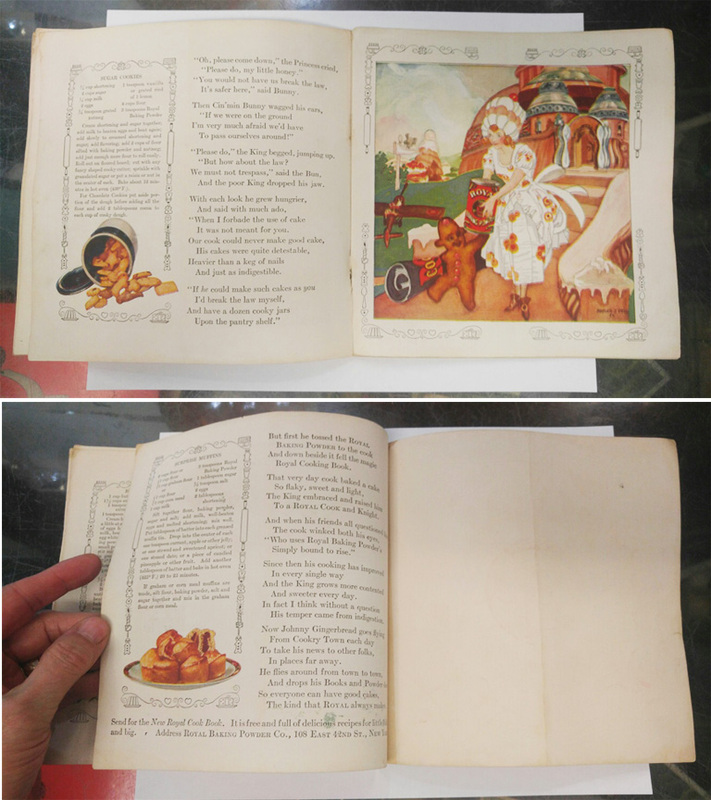 The book has some folds and wear with one tear and one loosened page. A pretty, bright colorful book. Estate original boy scout, sea scout hand carved sign, "Be Prepared" from the 1912 period. This is an extremely rare find for boy scout material, a 1912 all original sea scout and boy scout, sea scout hand carved wooden two plank sign, which is hand carved in relief, retaining its original paint and is in untouched original condition. Even the four joining planks on the back are all original including the early brass screws. 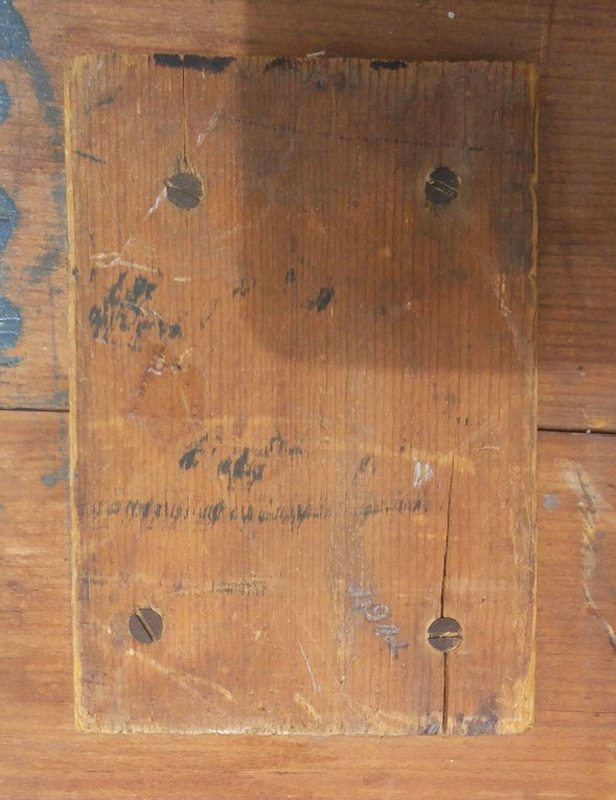 There is a faint date appearing to be 1912 on one of the joining planks, which would be in the infancy years of the sea scouts of America. The back of the sign shows it has been near salt water because of the porous finish to the wood much like the bottom of boards in an early chest that lived near the coastal waters. This great piece has never been restored or even touched up. It is definitely a museum piece for a great boy scout collection. It measures 23 3/8" by 16 1/4". There is a bruise chip on one bottom corner, which is photographed. 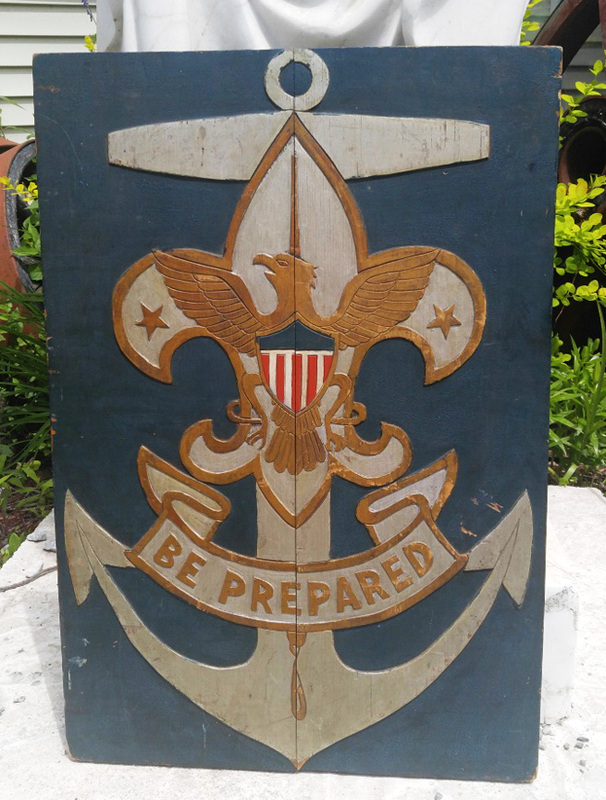 Estate original boy scout, sea scout hand carved sign, "Be Prepared" from the 1912 period. This is an extremely rare find for boy scout material, a 1912 all original sea scout and boy scout, sea scout hand carved wooden two plank sign, which is hand carved in relief, retaining its original paint and is in untouched original condition. 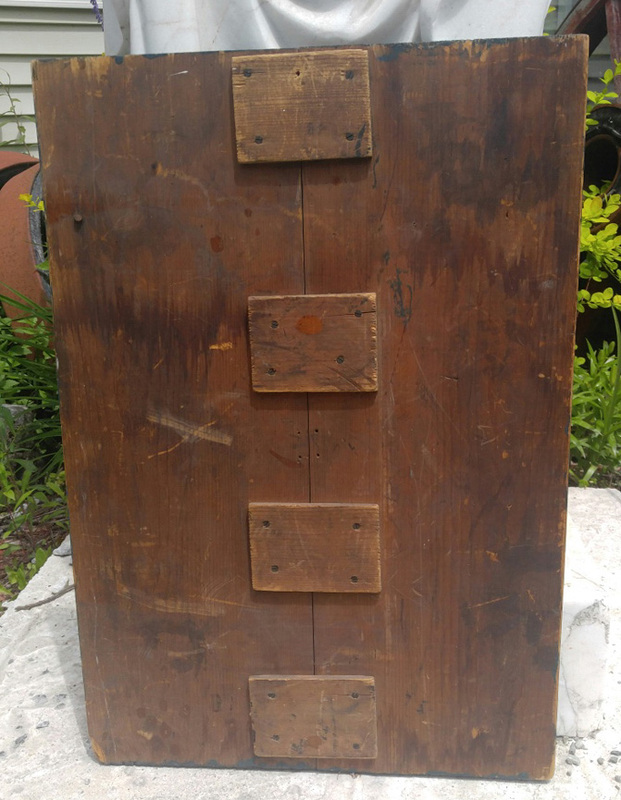 Even the four joining planks on the back are all original including the early brass screws. There is a faint date appearing to be 1912 on one of the joining planks, which would be in the infancy years of the sea scouts of America. The back of the sign shows it has been near salt water because of the porous finish to the wood much like the bottom of boards in an early chest that lived near the coastal waters. This great piece has never been restored or even touched up. It is definitely a museum piece for a great boy scout collection. It measures 23 3/8" by 16 1/4". There is a bruise chip on one bottom corner, which is photographed. 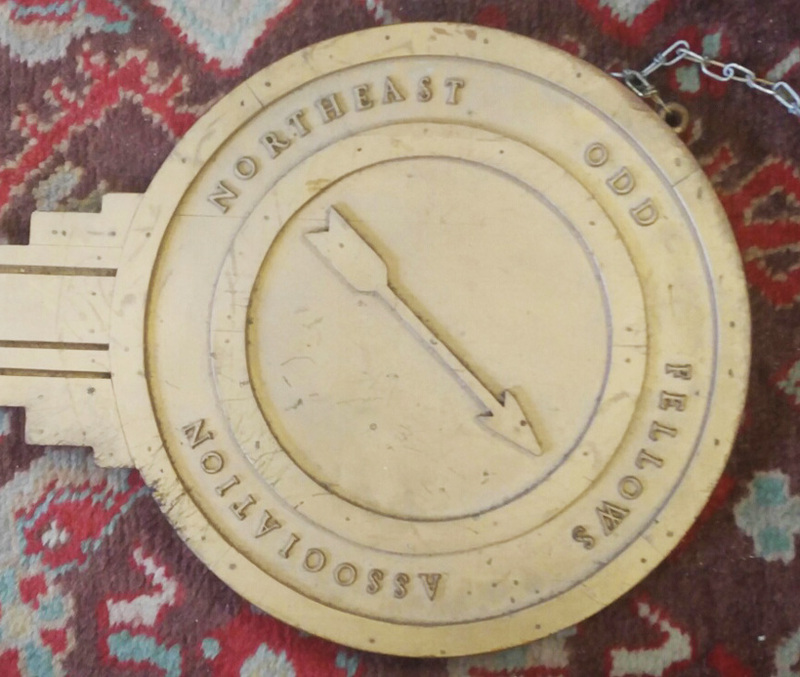 Estate, original key shaped wood, Northeast Odd Fellows Association sign from the 1930 period. Another great find!!! This is all hand made with the original gold paint. 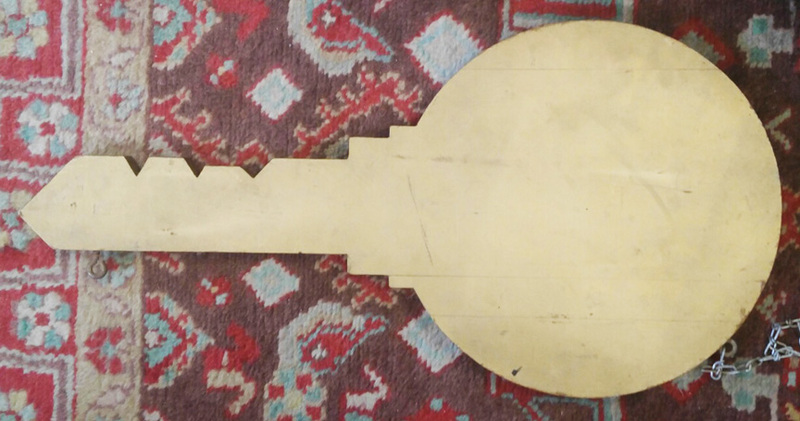 The wooden key has singly applied letters as well as the decorator elements. 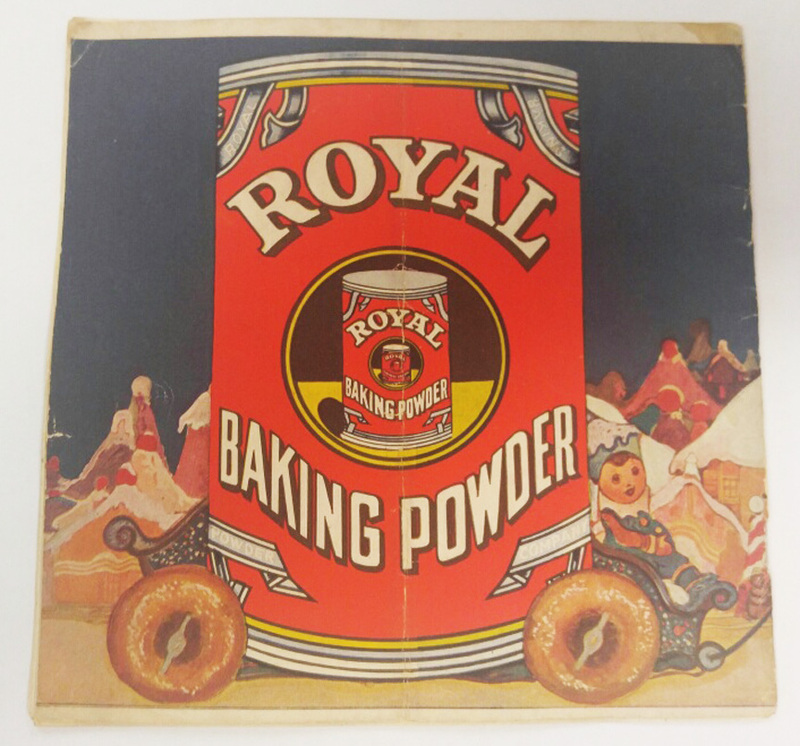 Measuring 2' by 1', this will be a nice addition to your Odd Fellows collection. 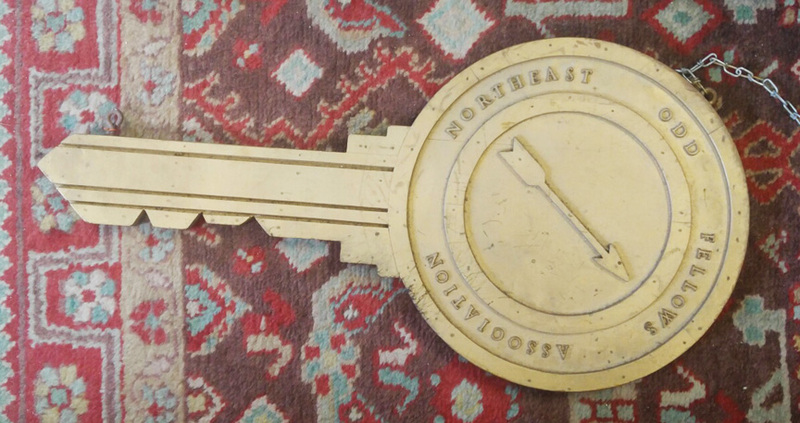 Estate, original key shaped wood, Northeast Odd Fellows Association sign from the 1930 period. Another great find!!! This is all hand made with the original gold paint. The wooden key has singly applied letters as well as the decorator elements. 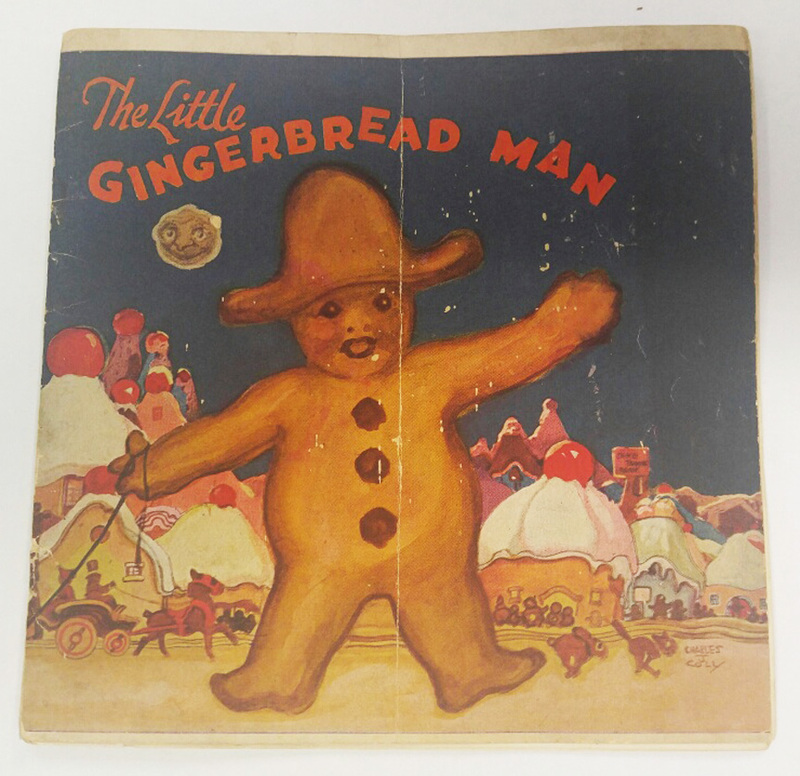 Measuring 2' by 1', this will be a nice addition to your Odd Fellows collection.